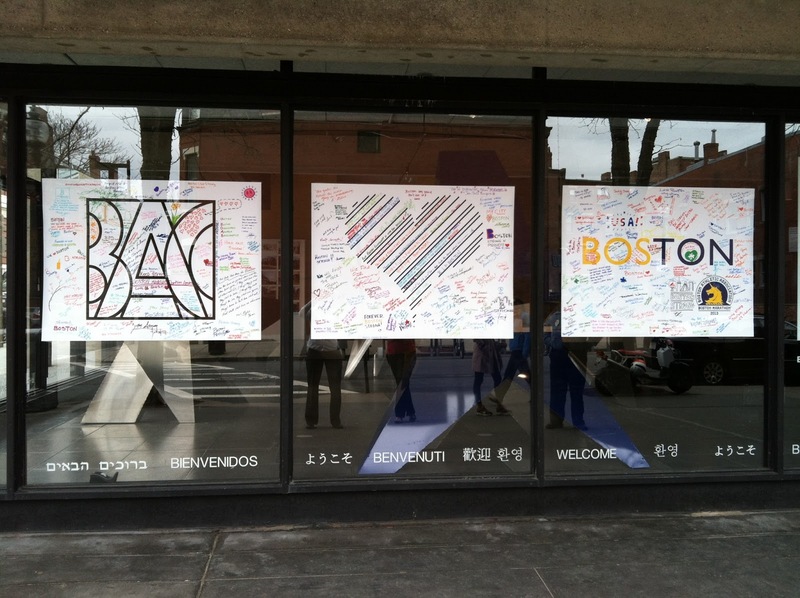 The BAC community was greatly saddened by the acts of violence that occurred surrounding the Boston Marathon. We are all searching for ways to cope, ways to mourn and grieve, and ways to celebrate life again. Students, instructors and staff at the BAC signed banners this week to share healing messages of love, hope, and peace with our Boston community. The banners can be found on display in the front windows of the 320 Newbury Street building. AOP Day students in A-1 Studio also wrote messages on paper tulips which were displayed at the Boylston Street memorial. Click here to see photos by Rob Henry. Thank you to all of the students who showed support this week, and who came together in various ways as a community for reflection and self-healing.